Western Writers of America, Inc., was founded in 1953 to promote the literature of the American West and bestow Spur Awards for distinguished writing in the Western field. The founders were largely authors who wrote traditional Western fiction, but the organization swiftly expanded to include historians and other nonfiction authors, young adult and romance writers, and writers interested in regional history. Today it has over 650 members who write everything from mainstream fiction to local history. Its annual convention occurs each June. READ MORE AT THE WESTERN WRITERS WEBSITE ». 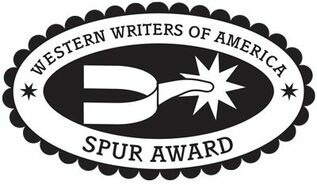 The Spur Awards, given annually for distinguished writing about the American West, are among the oldest and most prestigious in American literature. 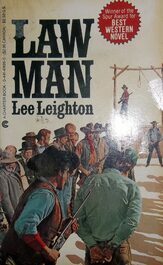 In 1953, when the awards were established by WWA, western fiction was a staple of American publishing. At the time awards were given to the best western novel, best historical novel, best juvenile, and best short story.Since then the awards have been broadened to include other types of writing about the West. Today, Spurs are offered for the best western historical novel, best western traditional novel, best western contemporary novel, best short story, best short nonfiction. Also, best contemporary nonfiction, best biography, best history, best juvenile fiction and nonfiction, best TV or motion picture drama, best TV or motion picture documentary, and best first novel as well as best first nonfiction book. 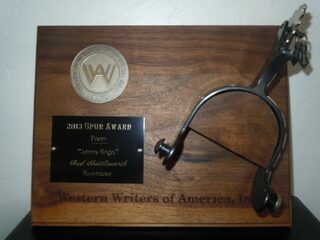 Click here for a list of all the Spur Awards given over the years by the WWA ». Wayne won the Spur Award three times. Here's a look at each book that took the honor. For eleven years he had been sheriff of this town, yet he wasn't sure he had the qualities it took to do a job of this size. 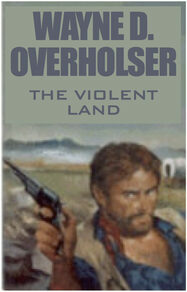 The farmers did not trust him; the ranchers feared him because he stood in their way. Only one thing was certain: if he died tonight, no one else was capable of doing what must be done. In a novel of unusual power, Lee Leighton tells the story of a town torn by seething hatred, and of a sheriff who has staked his life to protect a killer sentenced to hang in the morning. Big Jim Perrin becomes Oregon's richest cattle boss with the help of frontier hard cases like Dan Nathan. But the more land Perrin wants, the more Nathan finds his loyalties split between his employer and the nesters who lose their land to him. Soon, Dan will have to turn his gun toward the man he once called a friend. This thrilling adventure novel tells the story of a famous real-life massacre that occurred on a Ute reservation in Colorado in 1879, three years after the Custer disaster at Little Big Horn. The explosive situation between the Utes and the bullheaded Indian agent, Nathan Meeker, has been building up for some time because of Meeker's stubborn insistence that the Indians conform to the white man's way of life. Caught up in the middle of this conflict are two teenage boys, torn by their divided loyalties. Although Dave Madden and the Indian boy Tono have been close friends, they know that if the tribe revolts they must become enemies. 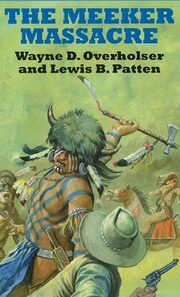 The suspense mounts as Meeker continues to provoke the Indians, and the white men at the agency gradually become aware that they face almost certain destruction.